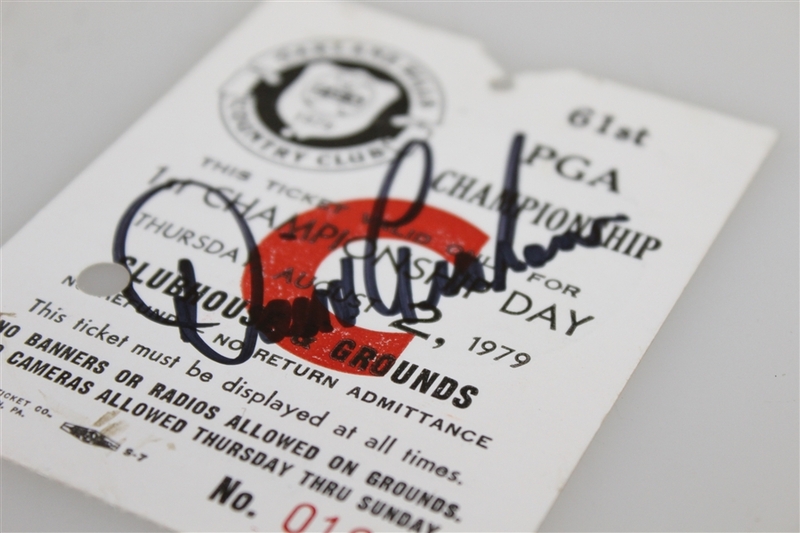 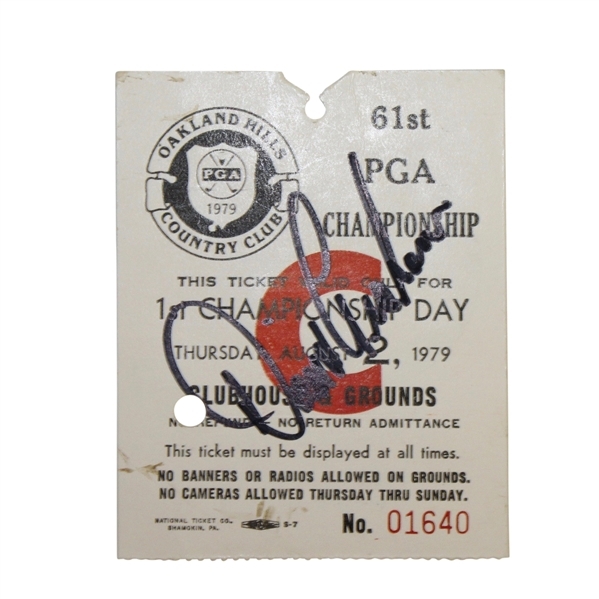 Offered here is a ticket from the 1979 PGA Championship signed by the winner David Graham. 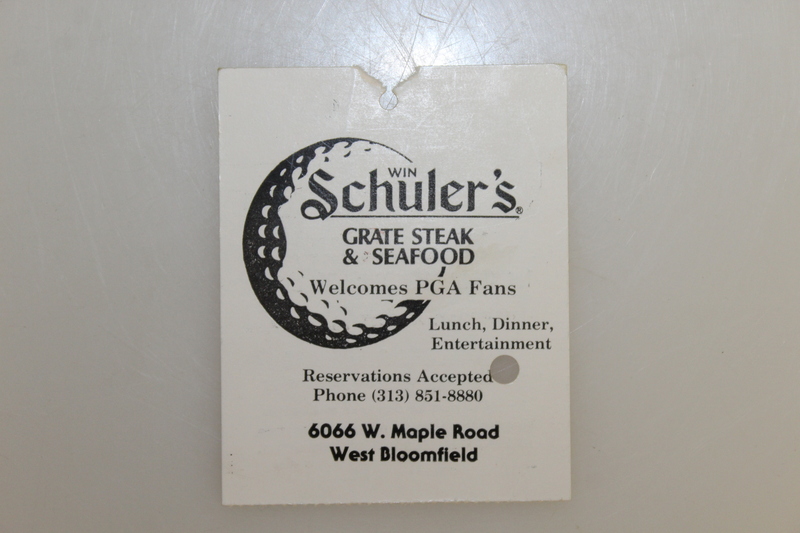 It comes in good condition, showing scuffs throughout as well as a cut mark on the center front cover. David Graham had to earn his first Major championship, defeating Ben Crenshaw on the third hole of a sudden-death playoff, after his double-bogey on the 72nd hole forced the playoff.